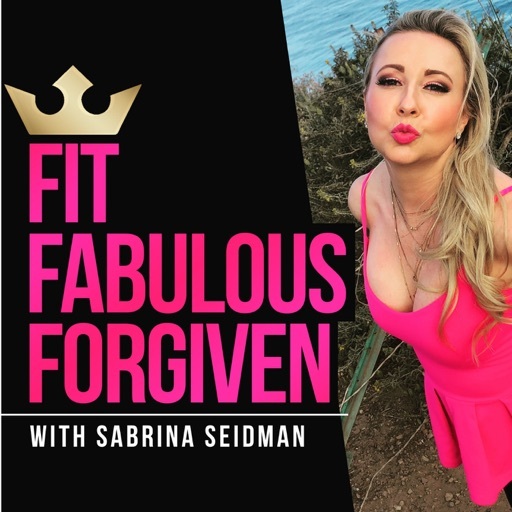 Fit Fabulous Forgiven podcast with Sabrina Seidman is designed for women who are destined for excellence in all areas of their life. When we achieve a certain level of success, other priorities like our health, fitness, relationships, hobbies and spirituality tend to suffer. This podcast is to equip women with the tools to feel empowered to have success in all areas of life. Love Sabrina’s energy and excitement. Although her intended audience is probably younger than I am, her tips still apply. Can’t wait for more inspiration. Being a woman is fun with all the beauty and fitness outfits but it can be tough too when too focused on business or work. Sabrina’s podcast inspires me with my fitness, beauty, and spirituality to keep that balance. In episode 10, I share why I chose the word "forgiven" as my podcast title and how much forgiveness, or lack thereof, impacts every area of our lives. In fact, it affects us now and for eternity. Tune in to hear this short but powerful message on forgiveness. In this episode I share the best ways for women 40-50 yo to achieve and maintain youthful skin. In todays episode, I share 4 common reasons that people can't lose weight along with solutions to those problems. Rank #5: HOW DO WE ACTUALLY EXCEL IN ALL AREAS OF LIFE? Are there areas in your life that you feel unfulfilled in? I know I have a few. But I also know that there are things we can do to achieve the results we desire in the ares of life that are important to us. If you are like me, you are not willing to settle for less than amazing when considering areas of your life that are important to you. In today's episode of Fit Fabulous Forgiven, I share useful action steps that we can take in order to truly excel in all areas of life. BOTOX is a hot topic in the world of anti-aging and beauty. In this episode, I cover everything from when and why Botox was first used to when you should start getting it and the potential side effects. It's good when it's good and bad when it's bad so make sure to do your research before letting a stranger put needles in your face! Breaking promises to ourselves is one of the most detrimental actions we can take. This episode details a few of the damaging effects that take place when we don't follow through on our commitments to ourselves, whether big or small. I hope it inspires you to get serious about following through with the things you say you are going to do. Glutes are a hot commodity right now and a flat tummy never goes out of style so listen to this episode for a few tips on how to achieve both. In this episode I share 5 secrets to diet free weight loss. By the end of the show you will have new tools you can start using immediately to achieve and maintain your ideal weight! Working as a physician assistant in medical aesthetics, I have learned A TON about anti-aging treatments and options to slow down the process. Everyone knows that prevention is the key to anti-aging. There are a lot of options nowadays to help us maintain a youthful appearance or even reduce the signs of aging that have already started to show. In this episode of Fit Fabulous Forgiven, I share the top 3 ways to help maintain a youthful appearance as you age. © 2019 OwlTail All rights reserved. OwlTail only owns the podcast episode rankings. Copyright of underlying podcast content is owned by the publisher, not OwlTail. Audio is streamed directly from Sabrina Seidman servers. Downloads goes directly to publisher.